With three base Holley carburetor parts and rebuild kits in countless variations, you're bound to find the correct one for your application. Rebuild your Holley so it's performing its best! For complete rebuilds of Holley vacuum secondary and double pumper carbs, this single kit services them all. In addition to the basics, extra parts are included for performance tuning (accelerator pump discharge nozzles, accelerator pump cams, vacuum secondary springs, and extra gaskets). A Holley carburetor diagram with an exploded view of the carb, step-by-step instructions, and detailed tuning guide are provided. Like the Trick Kit, Fast Kits use only quality Holley parts and include step-by-step instructions and detailed tuning guide. Purchase a Holley Renew Kit next time a carburetor rebuild is due, and you'll be assured of using only genuine Holley factory service parts. This is the only sure way of knowing your Holley carburetor will return to its original specifications in a like-new condition. 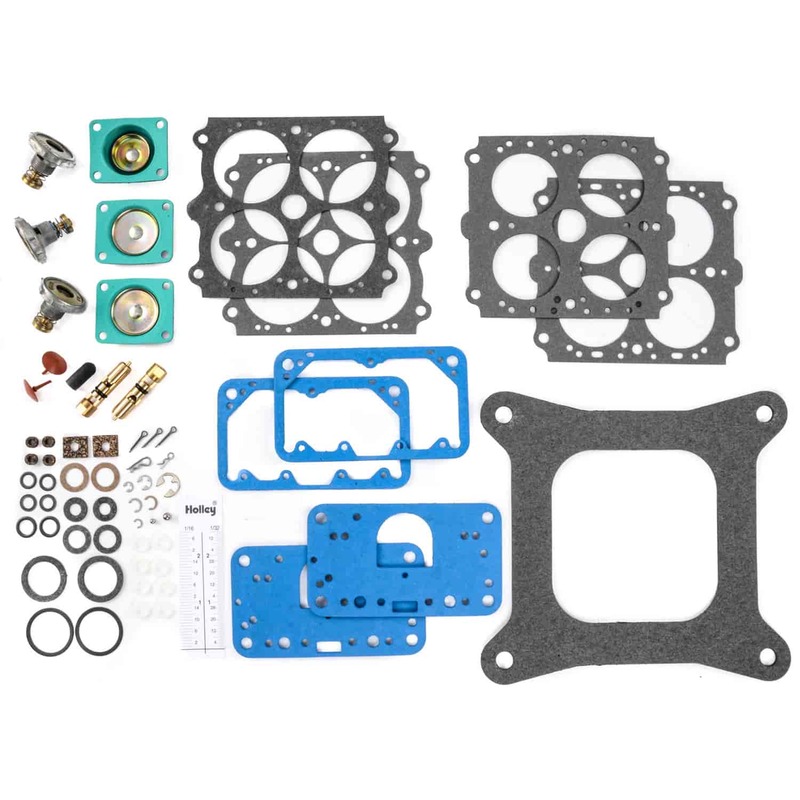 These rebuild kits include Holley parts: new gaskets, O-rings, pump diaphragm(s), needle and seat(s), power valve(s), and a step-by-step instruction sheet of the rebuilding process. Leave the guesswork to others. 37-485 is rated 5.0 out of 5 by 5. Rated 5 out of 5 by 426darragh from Everything needed It was just what I needed for the whole carb and Jegs had the best price as usual. Is the needle and seat and all parts in this kit ok to use with Alcohol? You will want to use Quick Fuel #3-4150-AQFT for alcohol rebuilds.